Some people are mighty curious. I know, I’m one of them. I spend much of my time in the IMDB.com reading the Trivia section of movies, especially the ones I have just watched. But where I’m curious about trivia facts, other people are keen to learn details of the lives of the celebrities. 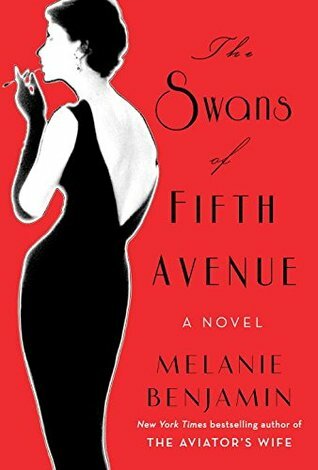 The Swans of Fifth Avenue is a fictionalization of the story behind closed doors of Truman Capote and his friends in high society from New York, his swans. Author Melanie Benjamin takes us behind closed doors to experience how things may have developed between Truman and his friends, and their later fallen out. We are privy to the sanctum sanctorum of the former socialites like Babe Paley and her powerful husband Bill—none other than the CEO of CBS! We are taken on a journey from the early days when the high court of society fought over who had brought Truman first, and then as the friendship evaporates, those same Swans deny being responsible for letting him into the group. We also have the chance to experience the inner details of the famous Black and White Ball Mr. Capote threw back in 1966. An event that, as far as I can tell, was the place to be if you were somebody in New York in those days. This is by no means history, and should not be considered as such. I say this because some people often confuse fiction with reality and take events depicted in novels and movies—historical movies mainly—and consider them true historical events. Nevertheless, this enticing tale is an entertaining one, one that will be soon released.